Filip Burburan is a Croatian illustrator, painter, and street and graffiti artist. He started out as a street artist, painting murals and graffiti and he did so for 12 years. These days he freelances and some of his clients include Wizards of the Coast ( Magic the Gathering and Duel Masters), Applibot ( Legend of the Cryptids ), Gameloft ( Dungeon Hunter 4 ), Paizo, Sony Online Entertainment, Fantasy Flight Games, and Cryptozoic Entertainment. His work reminds me of the illustrations that accompanied the old fairy tales. His characters are grotesque and exaggerated and very organic, and there is a roughness to the texture, coarse even. When you look at his art it feels like you’re stepping back in time and the old school part of me loves that. Below is a small collection of his work. Each image links back to the artist’s gallery. Enjoy! I think I have found in Filip another artist to go on my list of favorite artists. He just brings such a unique perspective to the fold that one cannot help but notice his work. Let me know your thoughts in the comments. 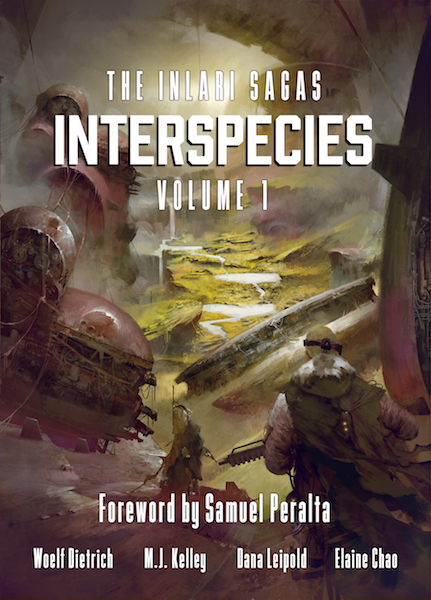 Remember to check out my latest in Art of Science Fiction over on Kōsa Press. It’s true, there is soemthing ‘classic’ to his work. Not just the technique, but the concept as well. His art reminds me of those old Russian folklore tales for some reason.